ESSENDON coach John Worsfold has launched a stern defence of his team's season, questioning the idea of it being described as a wasted year without finals football. Having lost to the likes of Fremantle, the Western Bulldogs and Carlton in the first half of the year, a talented Essendon squad was unable to correct a stuttering start to the season and is now destined to finish 2018 just outside the top eight. An eight-point defeat to Richmond on Friday night all but confirmed its fate. 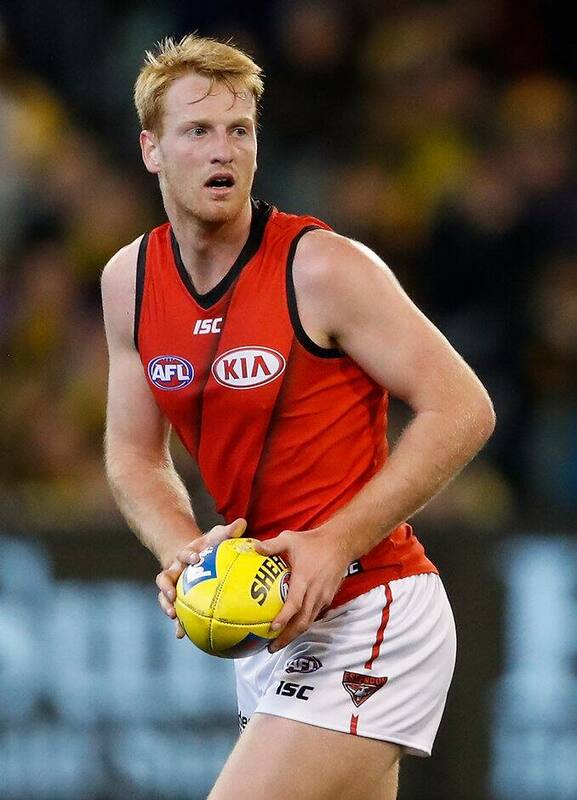 Touted as a premiership contender in pre-season having recruited Jake Stringer, Devon Smith and Adam Saad to the club, many believe the Bombers have failed to live up to the summer hype that surrounded the club. However, Worsfold vehemently opposed that suggestion and instead insisted that the club had found growth in several key areas. "Everyone can have their own opinion on what it is," he told reporters on Friday night. "We've worked extremely hard this year on bringing through some young players, we've worked hard on covering some injured players, on changing our game to become a team that is going to be able to take on the best teams in the competition and win. "We've won on the road and we've done a lot of good things this year. We've worked really hard, so I would say the hard work is going to be rewarded. It will be rewarded. "Therefore, hard work and passion and growth is not necessarily a waste. I'd challenge anyone to say that if you go and work your backside off, that it's going to be wasted. "For those people who just want to measure it on that we didn't play in the finals, then yes, we missed the finals. You can label that how you want, I'm comfortable with that." Having been 2-6 after eight games, Essendon produced a drastically improved second half of the year, winning seven of its last 10 matches, but it proved too little, too late. Yet victories over the likes of Geelong, Greater Western Sydney, West Coast and Sydney has Worsfold believing his team can challenge with more consistency next year. "Overall, we've just got to get a little bit better at what we're doing," Worsfold said. "We're not far off it. We lost to Hawthorn by a kick, we've lost by a kick and a bit to Richmond … we're not far off." The major positive to come from Friday night's slim eight-point loss to the Tigers was the performance of promising youngster Aaron Francis. The 193cm defender delivered his best game for the club in the ninth match of his career, winning 13 disposals from a team-high eight marks. Four of those were contested, with his ability to read the footy in flight a particular highlight on the evening. It left his coach impressed and excited about what the 21-year-old can deliver in the future. "I was pleased," Worsfold said. "That was coming. I don't even know what game he's up to … but he's working really hard on all aspects of his footy and his wellbeing to become the player he knows he can be. "There was some brilliant contested marking tonight. He's got a long career ahead and a lot of hard work ahead, but he's going to be a good player."